Originally a captain’s house, converted to a delightful accommodation over a period of years. Residing at the top of the caldera, with breathtaking view to the old port, the volcano and the sunset. 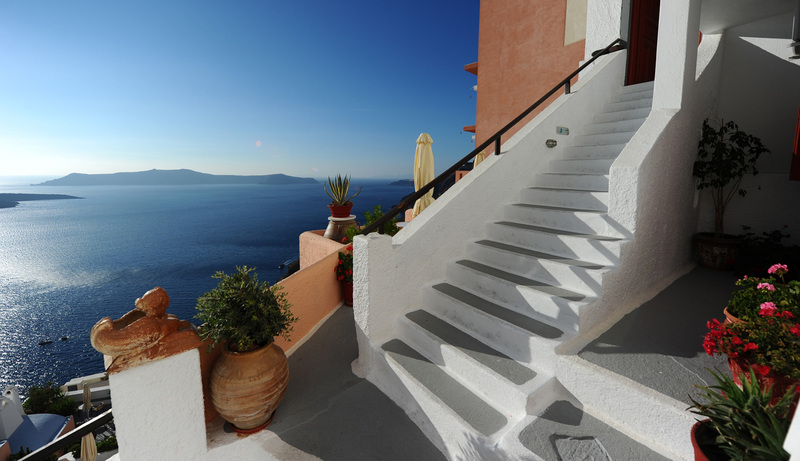 The traditional architectural style of the property offers exterior stairways winding down the cliff to flowered terraces designated for the exclusive enjoyment of the guests. It is ideal for travelers who enjoy the local flavor of their destination.